Students are required to complete 24 two-credit courses in this industry-focused MBA program. All in-person courses in the Saint Joseph’s Pharmaceutical and Healthcare Marketing MBA for Executives at the Haub School of Business are offered at the Chubb Hotel & Conference Center in Lafayette Hill, PA. Each course takes one weekend (Friday/Saturday) with a pre and post-assignment completed outside of the classroom. Students also have the option to take their classes in our virtual classroom. Month-long online classes, with weekly evening virtual class sessions, provide added flexibility for our students. The degree can be completed in as few as 12 months or as long as six years. The 24 required courses consist of five Foundation Courses in Economics, Finance, Accounting, Management, DSS and Marketing; 18 Additional Required Courses; one of six available Elective Courses; and a Capstone Course. Some students may waive Foundation Courses based on their undergraduate transcripts. The average Saint Joseph’s Pharmaceutical & Healthcare Marketing MBA student has 10-14 years of work experience, typically in middle-to senior-level management positions. The average GPA of matriculated students is 3.1, and the average student is 36-years old. About 52 percent of students are women. Most students come in with only a Bachelor’s Degree, but 21 percent hold Master’s Degrees and an additional 6.5 percent hold other advanced degrees. Nearly 70 percent of enrolled students are employed in sales and marketing industries, with the other 30 percent in research and clinical studies. Over 80 percent of students are promoted before they graduate. For 2018-19, the Pharmaceutical & Healthcare Marketing MBA costs $1,349 per credit. With 48 credits in the course, the total cost of the program is $79,152. Books and course materials, parking, student identification cards, executive coaching, and meals on class days are included in this price. Students with undergraduate business degrees may be eligible to waive up to five foundation classes. 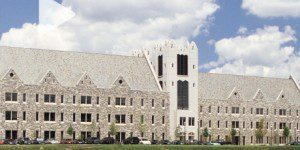 The Saint Joseph’s Pharmaceutical & Healthcare Marketing MBA for Executives requires a minimum of four years of work experience in the industry. Applicants must submit a completed application form, official transcripts from all undergraduate and graduate schools attended, a current résumé showing at least four years of industry experience, and one letter of recommendation. They must also complete a structured personal interview via phone or in person. International students must submit an official WES (World Education Service) course-by-course evaluation. As well, students that earned an undergraduate degree where English is not the primary language must submit TOEFL scores. Those who choose not to submit a TOEFL score must enroll in a two month ESL (English Second Language) program. Students are evaluated at the end of the program.